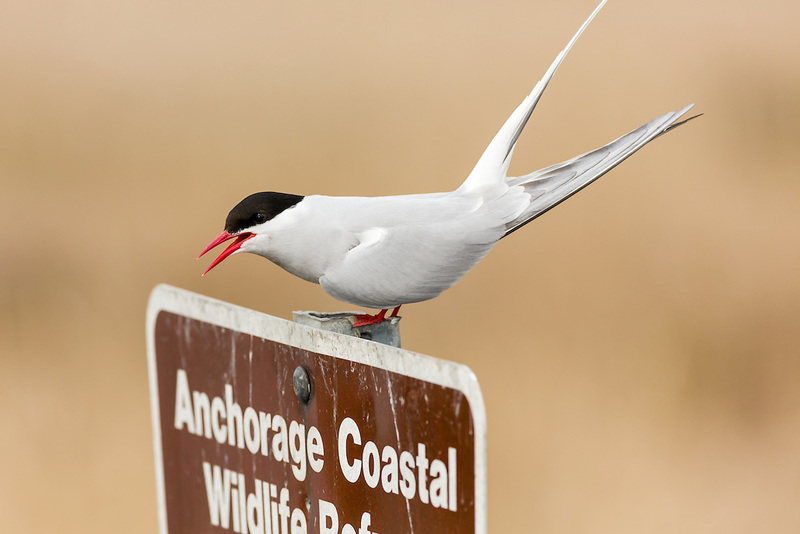 Arctic Tern (Sterna paradisaea) perched on sign to Potter Marsh in the Anchorage Coastal Willife Refuge in Southcental Alaska. Spring. Afternoon.